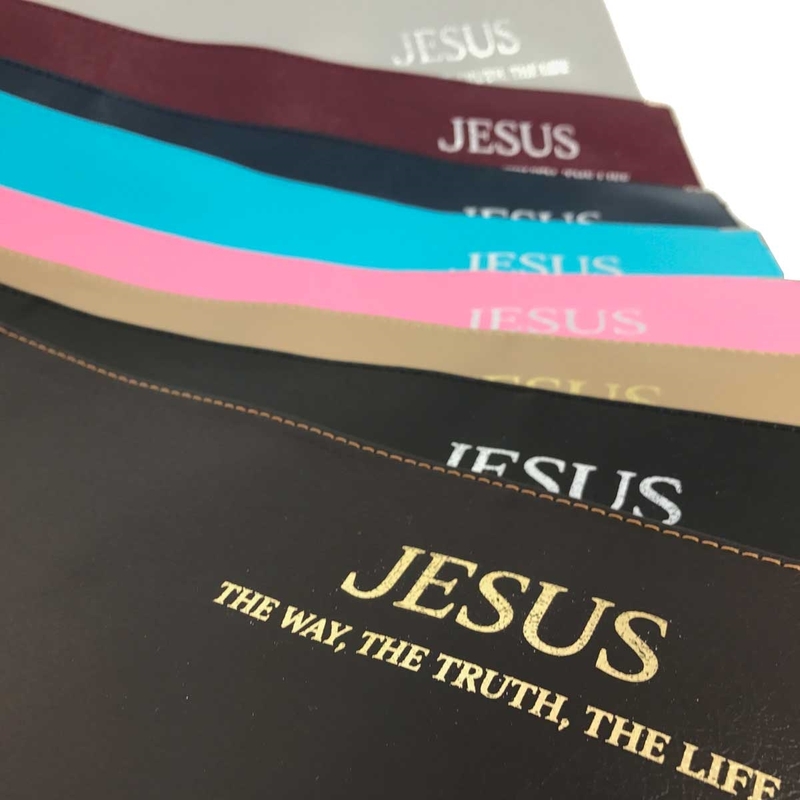 Designed to fit the exact measurements of the “Jesus - The Way the Truth, the Life” Congregation Bible Study publication, the cover has a practical purpose in preventing pages from becoming snagged or torn in a briefcase or bag. Its handmade elements include carefully stitched seams that are resin glued to provide added durability. Features include a pair of velvet page-marker ribbons and pockets on the front and back inside covers. A version with a zippered enclosure is also available. Fitting the book within the leather cover begins with folding the spine and running fingers inside the cover to make sure that the pockets are opened to accept the book covers. “Breaking in” the cover in this manner ensures a snug fit and years of dependable service.